The College of Pharmacy, in partnership with the Office of International Affairs, offers an annual, short-term education abroad experience to undergraduates and professional PharmD students. This unique experience helps students gain an understanding of pharmaceutical and healthcare considerations of another country, enabling students to relate this experience to the larger context of their future profession. The 2019 International Pharmacy Experience will travel to Switzerland from March 9 to March 17, 2019. Past destinations have included Italy (2018) and England (2017). With travel occurring over the university’s spring break, this nine-day program provides students the opportunity for an international experience while not interfering with the structured nature of their pharmacy curriculum. Find out more details about the Switzerland 2019 program by watching an Information Session here. The program application will open September 19 and close on October 22, 2018 at 11:59 p.m. Start your application here and select the “Apply Now” button. There is a $150 application fee, which will be refunded to those who are not selected for the program. "My week abroad was extremely transformative. It highlighted a sense of independence I found in myself after surviving a week spent thousands of miles away from Ohio. Not only did my trip solidify my passion for pharmacy, it opened my mind to the ways the profession could advance in the future–it made me think about what my role could be in this ever-evolving healthcare field. It was exciting to feel so secure in my career path." Students accepted into the program will participate in the PHR 5798 International Healthcare Experience in Pharmacy course that meets weekly prior to departure. Within the course, students will learn about pharmacy practice and healthcare considerations of the destination, alongside preparations for international travel. Travel will occur as a group and be led by Resident Directors from the Office of Student Affairs. Time in-country will be spent visiting pharmaceutical, historical, and cultural sites, enabling students to engage with healthcare practitioners and experience the country through a pharmacy lens. 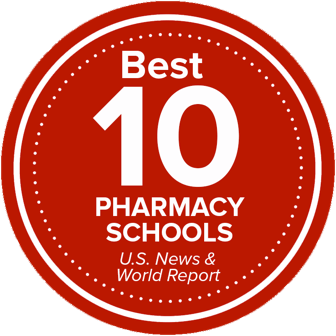 In order to be eligible to apply, a student must be an undergraduate student in the Pharmaceutical Science major; rank one, two, or three PharmD student; or a registered member of the College's Pharmacy Club. Students must also meet the Office of International Affairs’ General Eligibility Requirements and Conditions for Participation. All students will be required to participate in the PHR 5798 course and on campus pre-departure orientations organized by the Office of International Affairs. Students accepted into the program will be enrolled in the PHR 5798 course, which will meet the first session of the spring semester. Undergraduate Pharmaceutical Science majors and PharmD students can use two credits of this three-credit hour course towards electives within their educational program. Program cost varies from experience to experience, but the student’s program fee includes airfare, health insurance, in-country transportation, accommodations, cultural activities, and some meals. Scholarships are available for enrolled College of Pharmacy undergraduate and professional PharmD students to help defer the overall program cost. The application for the 2019 International Pharmacy Experience to Switzerland will open September 19, 2018. To apply, visit OIA's website and select the “Apply Now” button. There is a $150 application fee, which will be refunded to those who are not selected for the program. This is a competitive program with limited spaces available. Students will be evaluated on their quality of response to four application questions. Successful applicants are able to provide a thorough response that fully addresses the question, cite specific details and examples, and articulate their thoughts in a clear manner. Visit the Office of International Affair's website.